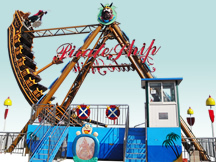 Mini flying chair is specially designed for teenagers a flight tower class amusement . 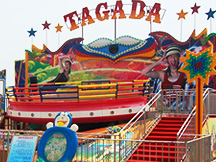 Its beautiful appearance and full of irritating very popular form of the game. Top with a lantern in the night is beautiful, children riding in hanging chair can experience the feeling of flying , harvest immense pleasure . 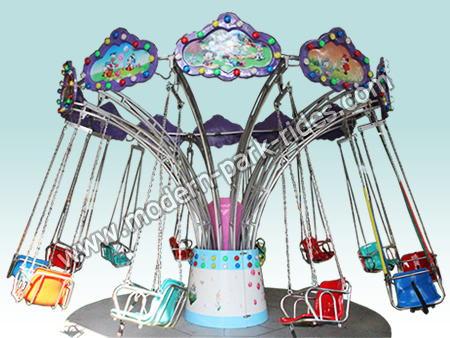 Appearance swing chair ride explicit compact mini boats , cartoon , at the lowest end of the device has a rotating tray , the tray above is used to support the swing chair ride of the stent, the stent installed above a cartoon logo design , the top bracket connected with chains , the lowest end of the chain connecting the vertical mini flying chair . Child safety are designed according to the design specifications , the seat baby stroller according to the design of the seat , to ensure the equipment in operation process, the child is not left out . 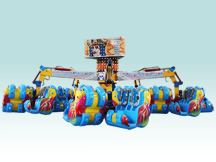 Mini flying chairs chain part is relatively short, the process of running the distance is not too high off the ground . The bottom part of the chain are set with soft skin tube , control children were chains pinch fingers or scratching. 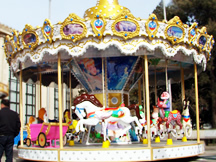 Use Mainly used in a children's playground , a new high-end residential , urban parks , supermarkets and other children's playground indoor playground. 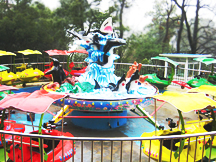 Mini flying chair for children, physical, mental and courage in the development, while the emergence of swing chair ride will exercise the courage to provide children with a platform to run as a kind of mini- boats chair was thrown time feeling and accompanied by a brief sensation of weightlessness , children can develop courage ; Furthermore mini flying chair is manufactured according to rotate outward pull, let fly and ride the chair lift off from the ground , which contains the three forces balanced relationship ( tension, rejection of force, weight ) ; mini flying chair ride have been able to balance the rotating chair , do not rely on the intermediate tray support force, but by the tension around each seat to keep the balance . This knowledge can be explained by parents to their children , so that they develop intellectually .